Scorching Summer BBQ EVENT - Prepare for the heat! Join us on August 7th for a full-bodied cookout with sizzling meat and blood-curdling cocktails on the menu. 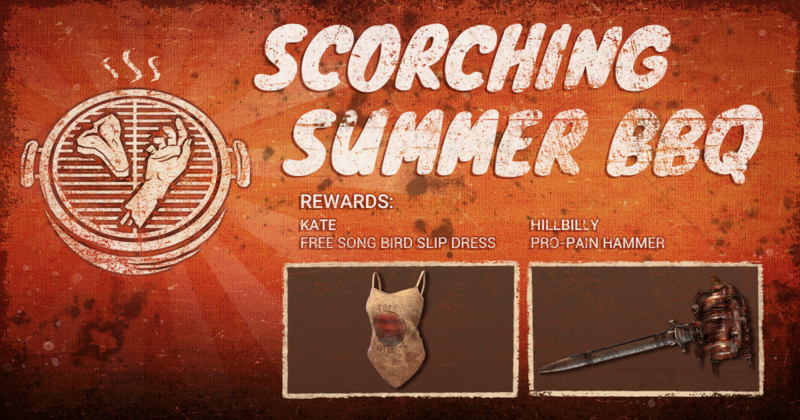 Collect as many Frosty Margaritas & Survivor Chops as possible to unlock the Scorching Summer BBQ customization rewards: Hillbilly's "Pro-Pain" hammer and Kate's "Free Songbird" slip dress. You are done with your personal objectives? 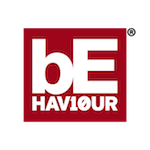 Keep playing the BBQ invitation Offering to help your playmates reach their personal goals AND on the same occasion, gain more Bloodpoints! The BBQ invitation Offering is only playable during the Scorching Summer BBQ.